The 96-year-old grew her collection into the hundreds and even designed, sewed and sold clothes for the dolls for many years. At one point, she had one of the biggest collections of Sasha Dolls in the United States. Myers, now a resident of HarborChase of the Park Cities continues to attend the Sasha Doll Festival with her daughter Brenda Myers each year, but as she ages, certain memories start to fade. 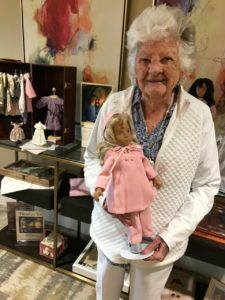 To help Virginia Myers recall memories associated with her dolls, HarborChase of the Park Cities, a community of luxury senior residences, has dedicated a life station to Myers featuring photos, articles, and dolls from her collection. The station was recently created near her apartment in the Sound, a floor in the community designed for seniors with mild cognitive impairment. 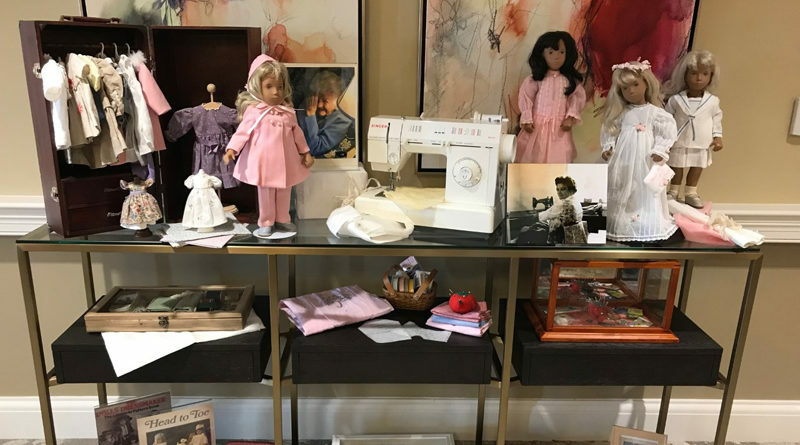 “It is fascinating to see Virginia’s dolls and memorabilia, and the fact she still attends the Sasha Doll Festival each year amazes me,” said Molly Meyer, life enrichment director at HarborChase of the Park Cities. The Sound is a unique “community within a community” that is custom designed as a setting for those with mild cognitive impairment. The Sound offers research-based programming tailored to the level of need of each resident. The programs positively benefit residents in need of additional specialized services by compassionately focusing on each resident’s interests, abilities, and strengths. Meyer said changing the stations benefits the residents and encourages them to socialize and stimulate their senses by touching the different objects and seeing the items in the displays. Brenda Myers said she believes the station will help bring back her mother’s memories of her doll collection and the friendships she formed over the years attending the festivals.